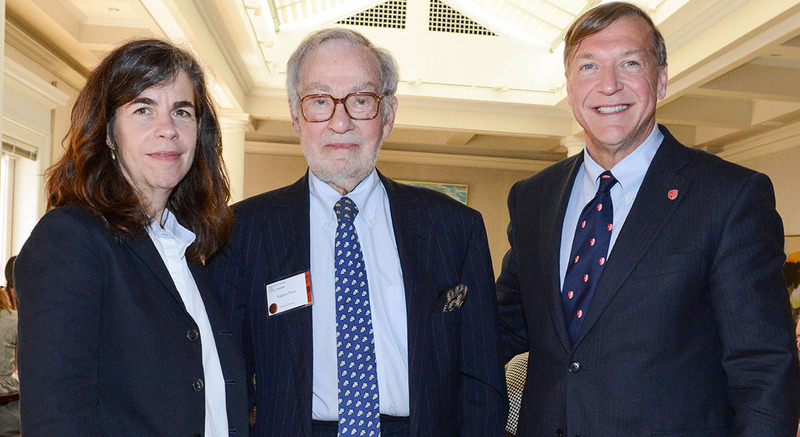 Katy Siegel, PhD, Eugene Thaw and President Samuel L. Stanley Jr. at the Eugene V. and Clare E. Thaw Endowed Chair in Modern American Art investiture held at The Century Association in New York City on May 25, 2016. 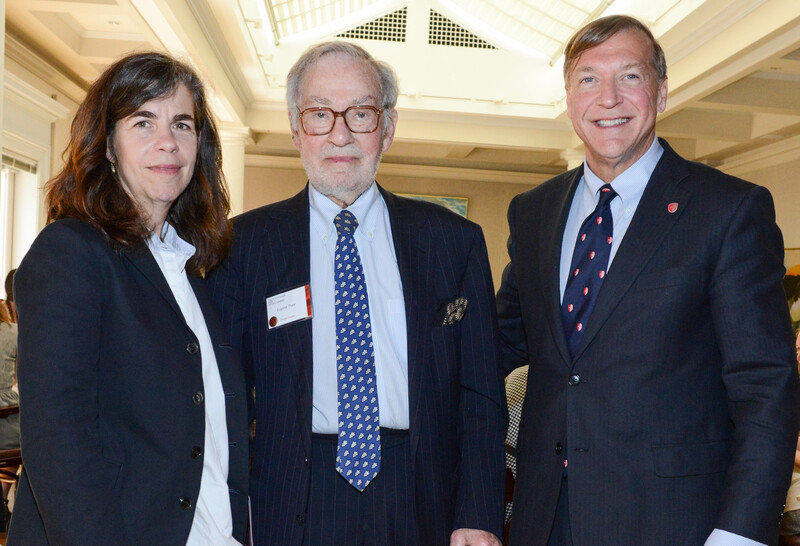 Highlighting Stony Brook University’s commitment to becoming a leader in the study of modern American art, Katy Siegel, PhD, was formally installed as the inaugural holder of the Eugene V. and Clare E. Thaw Endowed Chair in Modern American Art at The Century Association in New York City on May 25, 2016. Established in 2015 and made possible through the generosity of the Thaw Charitable Trust and a matching contribution from the Simons Foundation, the Thaw Chair and Siegel’s appointment underscores Stony Brook’s fostering of education in modern American art and ties the University closer to the Pollock-Krasner House and Study Center — deeded to the Stony Brook Foundation in 1987 under the guidance of Eugene Thaw, one of the world’s most esteemed and successful private art dealers and trusted friend and adviser to Lee Krasner. The Pollock-Krasner House could be said to be the epicenter of modern American art and is the site where Pollock and Krasner created their most famous works of art. 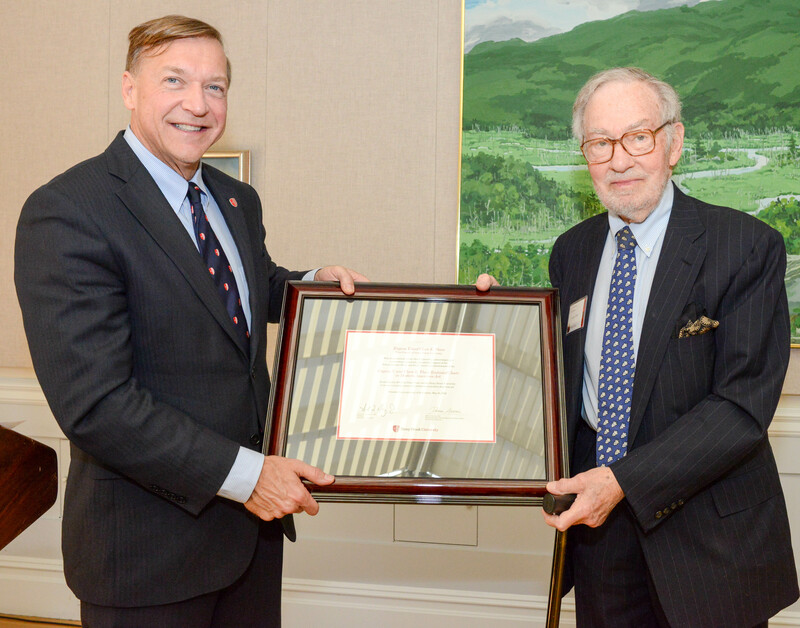 Stony Brook University President Samuel L. Stanley Jr. presents Eugene Thaw with a declaration honoring his generosity and support of the Pollock-Krasner House and Study Center and the establishment of the Eugene V. and Clare E. Thaw Endowed Chair in Modern American Art. In addition to the House and studio — visited by more than 8,000 people per year — the study collection contains Krasner’s and Pollock’s books, as well as other artifacts of mid-20th century art, many of which speak to and reference the East End of Long Island. 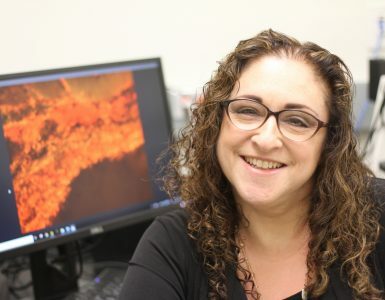 Harrison complimented Siegel as the recipient of the University’s newest endowed chair for her ability to seamlessly cross between academic and curatorial work. 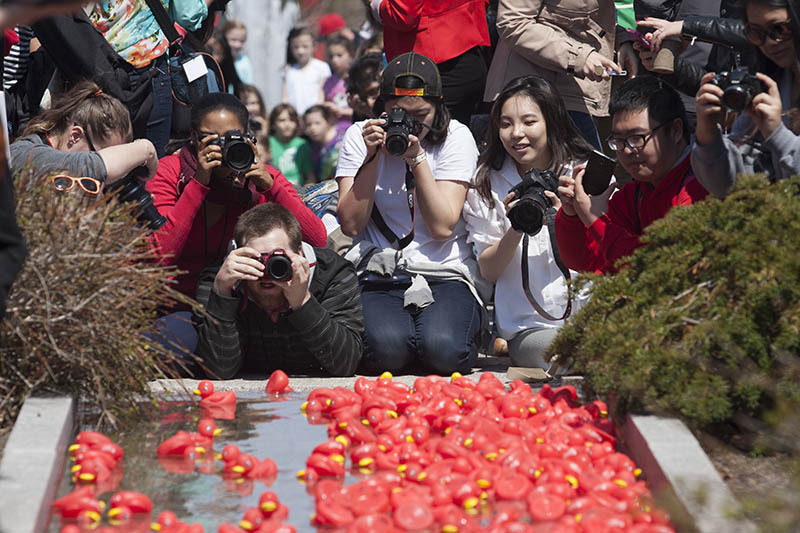 President Stanley praised Thaw’s work in forging a permanent link between Stony Brook’s academic mission and the House and Study Center’s constant vocation of encouraging the study of Jackson Pollock, Lee Krasner and abstract expressionism. 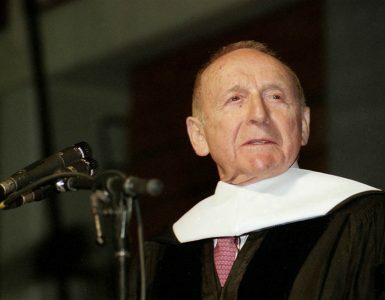 “When I think about what Gene Thaw has created, at Stony Brook and elsewhere, it is his masterful hand that I detect, working both privately and through the Pollock-Krasner Foundation,” President Stanley said. He also praised the work of Charles Bergman, chairman and CEO of the Pollock-Krasner Foundation, each of the trustees of the Pollock-Krasner Foundation and the work of Bobbi Coller and the members of the Pollock-Krasner Advisory Committee. 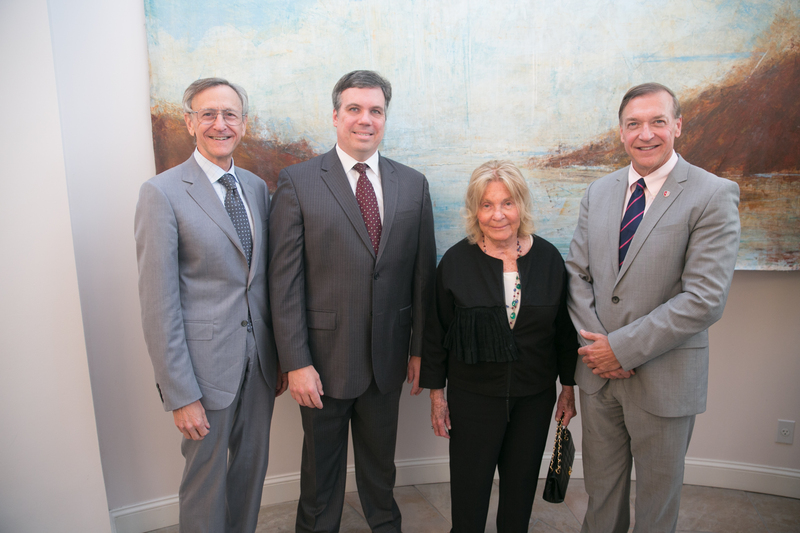 It was the successful collaboration and fundraising effort between the Pollock-Krasner Advisory Committee, the Pollock-Krasner Foundation and the Thaw Charitable Trust that resulted in an endowment for the Pollock-Krasner House and Study Center. 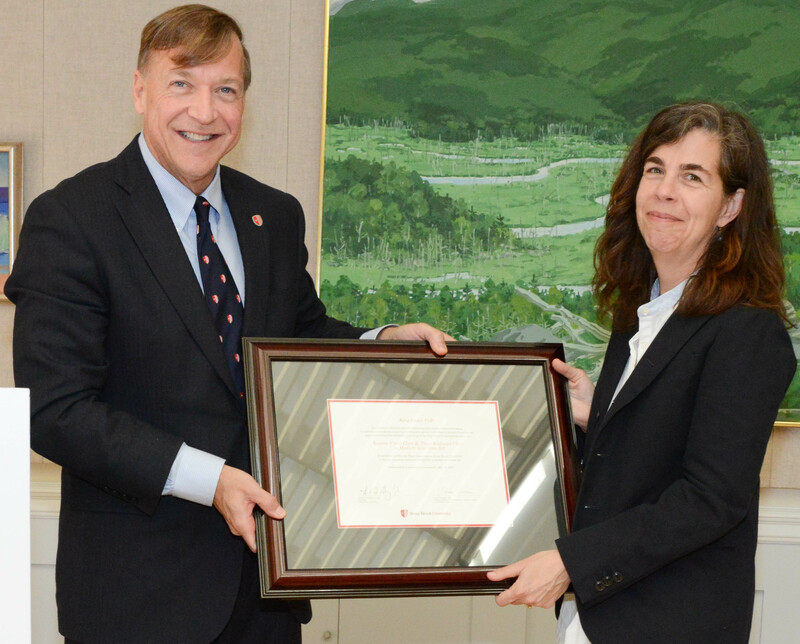 Stony Brook University President Samuel L. Stanley Jr. presents Katy Siegel with a declaration honoring her contributions in teaching, research and service to the field of modern American art during her appointment as the Eugene V. and Clare E. Thaw Endowed Chair in Modern American Art. 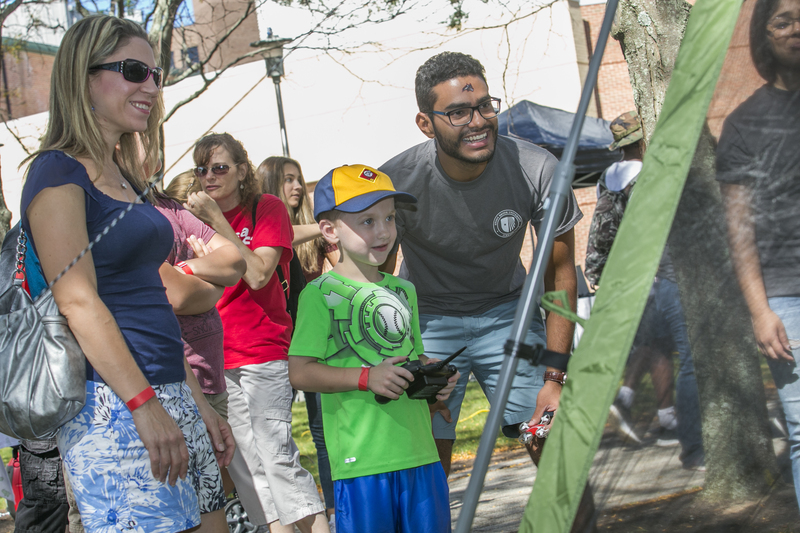 One of the primary goals of Stony Brook University’s current $600 million Campaign is to create a total of 100 endowed faculty positions by 2018 to attract more eminent scholars and researchers and retain outstanding faculty across a wide range of disciplines. Over the past six years, the number of endowed chairs and professorships at Stony Brook has increased more than seven-fold, to a total of 42 endowed chairs and professorships.